It depends on the projector that in which places it will work the best. Some are suitable for home theatre, while others are designed in a way that complements an auditorium setting. 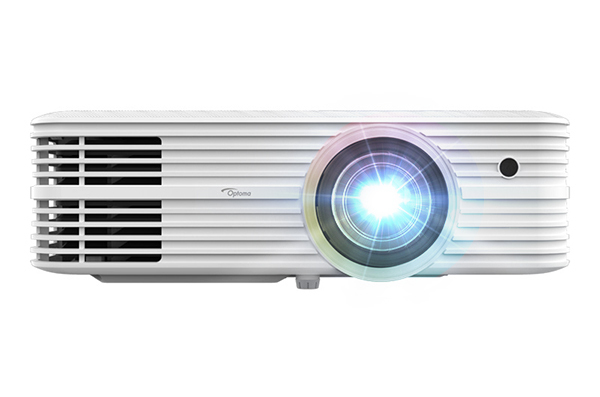 The Optoma 4k 550st is ideal for a classroom setting, small auditoriums, for display at some museum or other places like that and also for large conference rooms where a DLP projector is exactly what you need. This model supports high quality HDR mode and so you can enjoy movies in HDR quality as it supports HDR10. You can be relieved about the quality that it offers as it is guaranteed that you will enjoy the screen image while running an HDR movie or documentary. While purchasing a projector or any other electronic gadget, it is essential that you know about the warranty details if it is offered. This model of Optoma projector comes with a three year warranty which is worth appreciating. It is also important to note that the lamp warranty is of one year. This is one of the best specifications of the model under discussion. The 4,500 lumens makes the brightness much better than expected and so one can be assured that you will not face any difficulty with at least this specific feature. It is significant to talk about these features once we have gone through the brightness part. The better result with the clarity in brightness results in better contrast and the black levels complements it in a way that the projector also becomes suitable for home theatres. It is the cinema mode that makes sure that the colors are realistic along with a dark black level which enhances the quality of the picture. The projector offers two modes; bright and eco mode. The settings therefore vary when shifting from one mode to another. For example, the low lamp mode; the eco mode offers 25% less brightness in comparison to the bright mode. However, the dynamic iris also does its work in adjusting the brightness automatically as per the need and the environment that the projector is working in.